Benevolence Home Care is not your ordinary home-care; our agency was started out of love and compassion while caring for a loved one. We are locally owned and operated in Brazoria and surrounding counties. Our founder started this business after her aging mother received poor in-home personal care services. As a result, services were terminated and her loving daughter began providing the quality care she needed and deserved while battling advanced lung cancer. At Benevolence, we understand and share the feeling of physical and emotional challenges you or your loved one encounter with daily living activities that may become difficult over time due to illness, limited mobility, or injury. Our agency's vision is to present families with quality care, peace of mind and ensure our clients are treated with dignity and respect. We are a home care service inspired by love and compassion. Benevolence steadfast mission is to provide the highest quality, most trustworthy care to clients while in the comfort of their home. We are licensed by the state of Texas to assist and maintain client's independence and well-being. In order to constantly retain Benevolence's high- caliber reputation, our founder personally performs a thorough background screening on our caregivers and hire according to trust, experience, and reputable references. Our agency maintains an intimate and personal rapport with each of our clients. 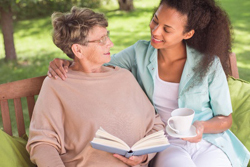 Caregivers are monitored regularly to ensure clients receive proper care. In addition, we strive to ensure that you or your loved one is matched with a caregiver attentive to client needs, personality, and preference. Let Benevolence treat your loved one like family. At Benevolence, we promote independence and happiness through compassionate care. Our desire is to help clients avoid hospitals, and other healthcare institutions by providing safe activities of daily living in the comfort of their home. We raise awareness for vulnerable adults and clients to prevent elder neglect and abuse. We promote the spread of information and resources to assist clients with their needs. To add, we offer safe indoor and outdoor entertainment along with transportation assistance. Brazoria, Jefferson, Fort Bend, Sugar land, Houston, Harris, and Galveston. Love and Compassion was instilled in the founder of Benevolence at an early age and her life experiences inspired her to show love and compassion toward others. Growing up as a child I saw my grandmother make the sacrifice to care for her ill mother in the comfort of her own home. Over the years, she shared the same love and compassion with her grandson and husband. Being I was a young adult, I would try and help my grandmother as much as I could to prevent her from any heartache and/or strain; yet, I knew a Nursing Facility was not an option for anyone in our family. Since then, I obtained a BS in Business Management and after working as a CNA/Caregiver in a nursing/ rehab facility, and home health agency; I knew caring for people was my passion. Therefore, I continued to care for family, friends, and even stranger(s) who in time became a dear friend to me. In 2016, my mother and aunt became ill and both passed away within five months apart of each other. Heartbreaking. Learning from past experiences, a nursing facility was not an option; we cared for our loved ones in the comfort of their home until they crossed over to Eternal Glory. 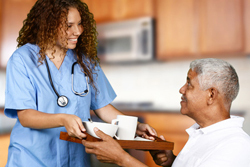 I am a satisfied client of Benevolence Home Care. I suffer from RA and requested Home Care services for the first time. It was a satisfying experience knowing someone was in my home to assist with my daily living activities. The caregiver was caring and attentive to my needs. I will use Benevolence again and recommend the services to a friend and/or family member.